In Melbourne, public transport between Tullamarine Airport and the CBD is lacking. Although the Melbourne SkyBus has been more than sufficient in recent years, as the population grows other alternatives will have to be considered. The State Government has committed to building a Railway link between Melbourne Airport and the CBD. This new, electrified rail link will eventually replace Melbourne’s SkyBus, and in turn will see services leaving every 10 minutes from Southern Cross Station to Melbourne Airport. The track itself will be approximately 19 kilometres long and will take no more then 20 minutes to commute from one end to the other. They will run more regularly and will operate using Myki. This is a huge step up from the current restricted form of transportation, the SkyBus, which takes between 25 to 40 minutes, and costs $18 for a one way ticket. In comparison to other states, who have made the leap and built railway links to their major airports, Victoria is a few steps behind. Other major cities around the globe such as Vienna and Vancouver have their own railway lines directly to their main airports. In the year 2000, NSW built a 10 kilometre Sydney Airport Link which cost $1.2 billion. A large project in comparison to QLD’s 15.9 km AirTrain, which came at a fraction of the cost, a mere $0.4 billion. The Melbourne Railway link project is estimated to cost around $3.6 billion dollars, which is a large figure when compared to the other states total costs. There has been talk about whether or not building this railway link is a good idea in the economic crisis Australia is facing. However, with this project in place, a world of opportunity will be opened up for job seekers. 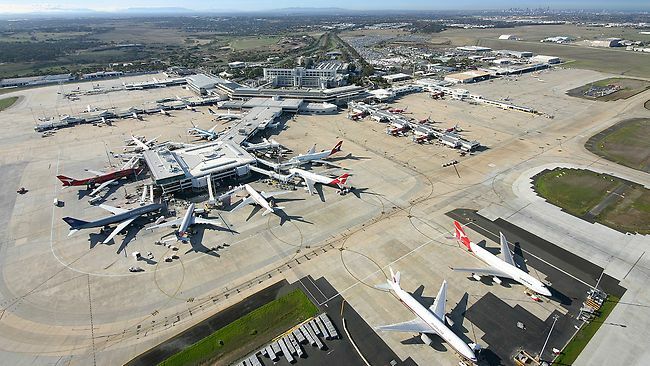 Melbourne Airport itself currently generates approximately 14,300 direct jobs and 43,000 indirect jobs, making the site and surroundings important employment clusters for people living in the North West of Melbourne and beyond. Commencement of the Melbourne Railway Link Project is expected to generate at least 23,000 direct jobs. The final design for this project will be completed in the next 18 months, pre-production in 2017 and the construction of the full project to be started at the end of 2018. Although the railway line is estimated to finish in 2033, the project itself will not begin operation until approximately 2026.